Discover which is the most popular pet in America, revealed through bar graphs, scatter graphs and pie charts. 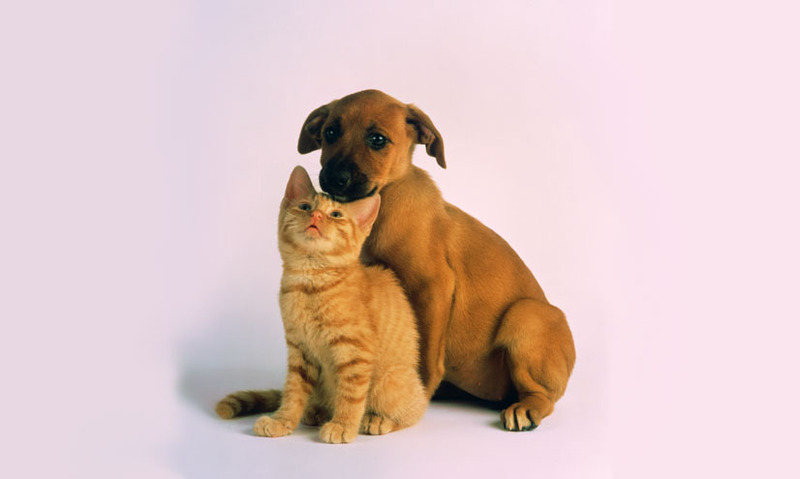 Which is the most popular pet in America? 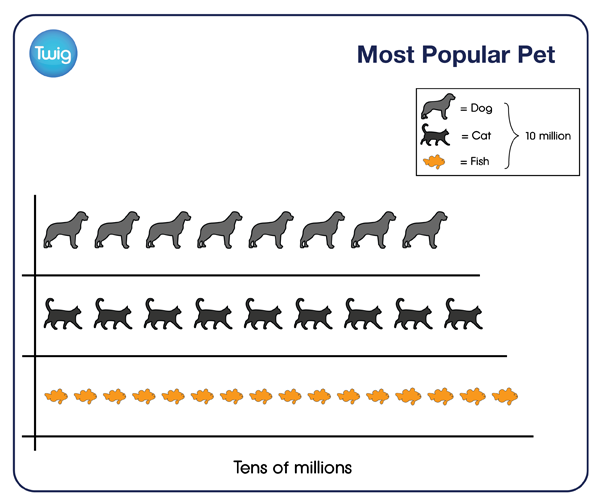 This pictogram shows the number of each pet owned, rounded to the nearest ten million. It's easy to see fish are the most popular pet. This bar graph shows the number of households that own each pet. This time, dogs narrowly beat cats. So what is causing this discrepancy? Plotting the number of pet owners against the number of each pet reveals a negative correlation. The lower the number of pet owners the higher the number of pets. The higher the number of pet owners the lower the number of pets. This indicates that the number of fish is highest simply because each fish owner is likely to own many fish. The evidence can be seen in this pie chart. It shows how many dogs each owner has. 60% of dog owners own only one dog. So even though more fish are owned, dogs are the most popular choice of pet.